Our Price £100.00 Another currency? This course is jam packed with information, as well as suggested learning experiences beyond simply reading the notes and studying the many illustrations. It helps you to understand human fitness and wellbeing, for your own benefit, or for the benefit of others you might work with. The course can be completed in around 20 hours; but if you want to learn in greater depth, and have the time to devote to learning, it can be given a lot more time, for a lot more learning. 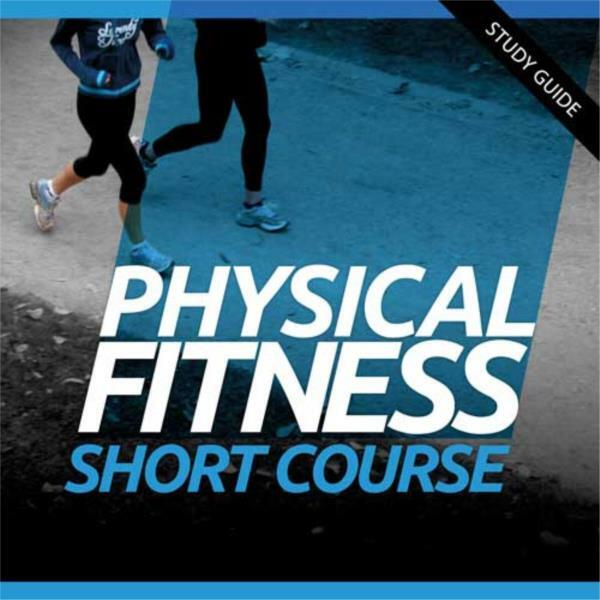 The course helps you understand physical fitness in the broadest sense. All aspects of fitness are considered -aerobic, muscle, skeletal. psychological. A very large range of techniques for improving and maintaining fitness are covered – from gentle to high intensity techniques. Safety, biology and health/injury issues are also covered. This is an exceptional course, which is equally useful for the everyday person wanting to better understand and improve their own wellbeing; through to people working in the health or fitness professions who will find serious benefit doing this course for professional development. High intensity training and high intensity interval training are very effective methods of training and improving a person’s health. High Intensity Training (HIT) is a form of strength training. It became popular in the 1970s due to Arthur Jones, who founded Nautilus. Jones messed around with exercise machines for 20 years, before developing the first Nautilus machine – the Blue Monster – in the 1960s. Jones is credited with the face of gyms that we see today, not just bar bells and weights, but also exercise machines. Jones also developed the idea of HIT. The training focuses on carry out repetitions of quality weight training movements to the point of temporary muscular failure. This is the point where the neuromuscular system can no longer produce the force required to overcome a specific workload. For example, if a person was lifting a weight, muscle failure would be the point where the person could no longer lift the weight. In 2010, research concluded that a failure to lift lower loads is more beneficial to muscle building than using higher loads and fewer repetitions. The training does take account of the amount of weight, time the muscle is exposed to tension and number of repetitions. The person should perform the exercises with a high level of effort and intensity as this is thought to stimulate the body to increase in muscle strength and size. Supporters of HIT believe that this is a superior method to improve strength and size. Some however argue that HIT goes against the idea of traditional wisdom for weight training. The focus of HIT is intensity over repetition. The focus of HIT was mainly on weight training and body building, but HIIT developed into other cardiovascular exercises. Let’s look more at HIIT now. High intensity interval training is also known as high intensity intermittent training. This is a form of interval training, but focuses on cardiovascular exercise. It uses short periods of intense anaerobic exercise, alternating with less intense recovery periods until the muscles are too exhausted to continue. There is no agreed time that a HIIT session should last, but they are usually under 30 minutes. The times will vary according to the person’s fitness level. Research has shown that HIIT regimes do result in significant reductions in the fat of the whole body, but they may not be so effective for treating obesity or improving bone and muscle mass. HIIT can help to improve a person’s athletic condition and capacity, as well as their glucose metabolism. Glucose metabolism is the process that converts glucose into energy. After meals, carbohydrate metabolism takes place in the digestive tract, where it is converted to glucose and absorbed in the blood. HIIT has been criticised as the general population may not be able to tolerate how extreme the exercise regime is. So how does HIIT work? Several repetitions of high intensity exercise – these should be done as close as possible to maximum intensity. Separated by medium intensity exercise to allow for recovery. These should be around 50% intensity. As mentioned above, the number of repetitions or length of the exercise will vary depending on the person. So they may be as little as three or four repetitions. The moderate intensity may be as slow as walking if the person is using HIIT in running. So 30 – 40 seconds of hard sprinting followed by 15 – 20 seconds of walking or jogging then repeated until muscle failure. HIIT has been used in many ways. Peter Coe used it to train his son Sebastian Coe in his running. Izumi Tabata used it to train Olympic speed skaters. But it can help people to become fit fast. It burns more calories while the person is exercising. Doggedly running on your treadmill for an hour may not burn as many calories of HIIT techniques. HIIT is thought to burn 25 – 30% more calories that resistance training, treadmill running and cycling. It continues to burn calories after the person has stopped working out. If you work out to the point where you are finding it difficult to breath, your metabolism will work at a higher level, so you burn more calories. It burns more fat in less time than traditional forms of exercise. A study in the Journal of Obesity found that three HIIT workshops a week for 20 minutes help people to lose 4.4 pounds of body fat in 12 weeks. HIIT can help control body sugar according to over 50 studies. HIIT strengthens the heart. HIIT makes the heart work harder. The heart is a muscle so it becomes stronger after intense training. It can also help people suffering from heart issues as it can more than double cardio fitness improvements compared to moderate intensity workouts. HIIT can help to lower blood pressure. HIIT doesn’t require the use of a gym. HIIT is beneficial to our overall health and fitness. It doesn’t have to be done in a gym and it does not say which form of exercise you have to do. HIIT can also be completed for the period of time YOU want to. It is an effective form of exercise for most people.